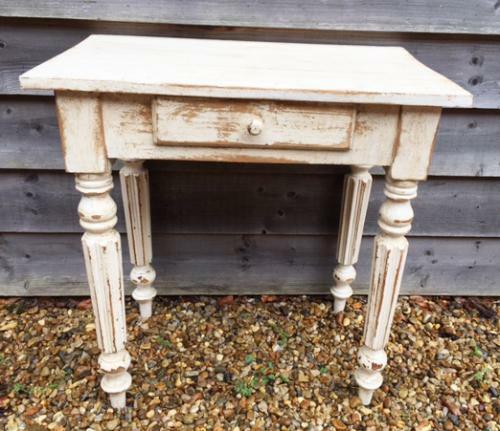 Antique Occasional Table in old paint with drawer. Attractive, turned and shaped legs. Ideal in bedroom or hall with lamp on etc.